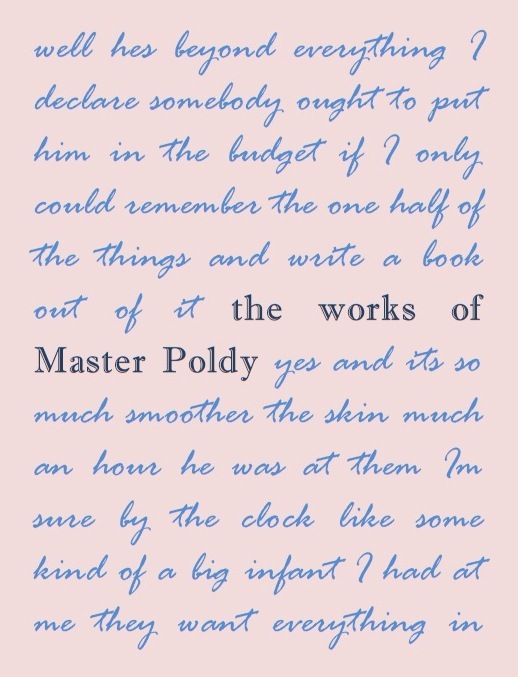 “The Works of Master Poldy” – For Bloomsday 2013? I was half expecting that the high tide of Bloomsday 2012 would, for me, be a turning point in my apparent addiction to James Joyce’s Ulysses. Most of July passed without a thought of 16 June 2013 or daily perusals of the book. But now an inspiration from Ms. Bloom has surfaced in the ill-formed shape of a volume Dublin-printed and assembled and kickstarted and ready for readers on Bloomsday 2013. Maybe this would be its cover, if it ever comes to be.